The Vehicle Identification Numbers or VIN is one of the most important numbers associated with a vehicle. One of the most important numbers associated with ownership of a vehicle is its vehicle identification number (VIN). The VIN is any number – such as the motor number, serial number, or other distinguishing numbers or letters – that is used to identify a vehicle or its parts for various purposes, such as tracking of registration of the vehicle with the Department of Motor Vehicles (DMV), and determining whether it is covered by insurance. Generally, you can find your car’s VIN stamped on places like the inside of the door, on the floorboard near the driver’s seat, on the dashboard, and on various other parts of the car such as the engine. This number is considered so important that California’s Vehicle Code has a number of sections that cover crimes related to illegal alterations made to a VIN. The following are three crimes in particular that are commonly associated with your car’s VIN. Put more plainly, this section makes it a crime for anyone to change, destroy, or add a VIN to a car or its parts without the permission of the DMV. However, the law does not apply to registered owners of the vehicle who are attempting to refurbish or restore the VIN, and it does not apply to manufacturers when they place a new number on a new vehicle or its parts. One of the key phrases here is, “more than one vehicle or vehicle part.” The intent behind this law is to stop the flow of stolen vehicles and vehicle parts. In effect, because more than one vehicle or vehicle part must be purchased or possessed, the law is aimed at persons who know that they are dealing in stolen cars and parts, and not at unsuspecting buyers who innocently buy a car or parts for a car without realizing that they have purchased stolen property. Of importance is the exception to this law for scrap yard operators, who process old vehicles and parts for the purpose of breaking them down and recycling the materials. Vehicle Code section 10803 does not apply to these businesses so long as they legally process vehicles or vehicle parts by crushing or compacting them without removing the VIN during processing. You may also face other related charges if you have been accused of VIN tampering. You did so without permission from the DMV. You had the purpose of selling, transferring, importing, or exporting the vehicle or vehicle parts. When you did so, you had the intent to sell, resell, dispose of, transfer, or import or export the vehicles or vehicle parts. A maximum fine of $25,000. Vehicle Code section 10803 is also a wobbler. If you are charged with a misdemeanor under this section, you face the same penalties as for the other two misdemeanor crimes. If charged with a felony under this section, you face the same potential sentences as under Vehicle Code section 10802, however, your fine can be as high as $30,000. Our team of attorneys is very well-versed on possible defenses to protect you from a VIN tampering charge. It is always a defense to charges under Vehicle Code sections 10750 and 10802 that you were not the person who tampered with the VIN on the car or parts. Vehicle Code section 10803 requires that you purchased the vehicles or vehicle parts with the knowledge that the VINs were altered. Suppose you are into classic cars. Your son’s 16th birthday is coming up, and you see that a dealer down the street has a pair of vintage Mustangs on its lot. You decide to get your son a great birthday present and you treat yourself to the other classic car as well. Unbeknownst to you, each of the cars had been stolen, and the dealer disguised that fact by stamping new VINs on the cars. Because you lacked the knowledge that these cars had VINs that were not genuine, you should not be convicted under Vehicle Code section 10803. You had no intent to sell, transfer, or otherwise dispose of the vehicles or vehicle parts. It is also a defense to Vehicle Code section 10803 that you never intended to rid yourself of the vehicles or parts that have altered VINs. Continuing with the above example, suppose you find that the Mustangs each need new engines. Wanting to teach your son how to fix up a car, you decide to buy a couple of engines and install them yourself. You buy them from a shop owner and you notice that the motor identification numbers appear to have been scratched off. Under this example,our attorneys could argue that you noticed that the engines had VINs that had been altered, but that you also never intended to resell the parts and that you were using them for the purpose of fixing up your own vehicles. Thus, you should not be convicted of violating Vehicle Code section 10803. 1. Can I change a VIN with the DMVs permission? You may, but only if an engine change is reported for a vehicle identified solely by the engine number. 2. Can I be charged if I accidentally painted over a VIN stamp while I was repainting my car? The Vehicle Code sections related to VIN alteration crimes all require that the VIN was intentionally altered. Thus, you are not likely to be charged for an accidental alteration of a VIN. 3. While I am fixing up an old car, am I allowed to restore a damaged VIN stamp? Yes. Vehicle Code section 10750 specifically allows registered owners to refurbish the original identification number of a vehicle or part. However, the law also states that you must first receive the permission of the DMV. If you have questions on how to do this, you should speak with an attorney who is familiar with how to request the DMV’s permission to restore a VIN stamp. Wallin & Klarich is ready to fight on your behalf. Call us today. If you are facing charges that you tampered with a VIN, or that you sold or possessed vehicles or parts with altered VINs, you do not have to fight the charges alone. You need the legal help of an aggressive and experienced criminal defense attorney. 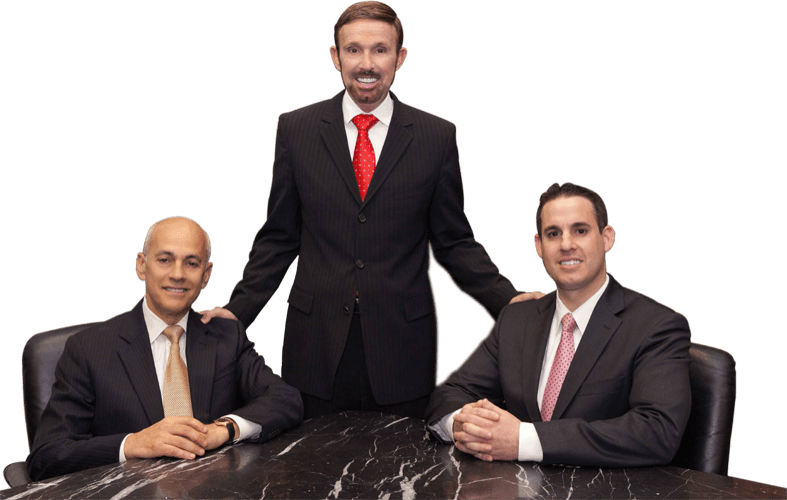 At Wallin & Klarich, our attorneys have over 30 years of experience successfully defending people like you who have been accused of VIN-related crimes. Let us help you, too. We are committed to providing you with the personal attention you deserve, and to helping you overcome this difficult situation.